Below you fill find all funeral homes and cemeteries in or near Lake Park. 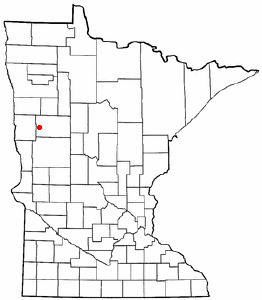 Lake Park is also known as: Becker County / Lake Park city. Zip codes in the city: 56554. Becker County funeral flowers can be purchased from one of the local funeral shops we partner with. Some of the notable people born here have been: (siri freeh). Lake Park is a city in Becker County, Minnesota, United States. The population was 881 at the 2010 census. It was revealed by Albany Democrat-Herald on December 9th, 2016 that Alta "Lorraine" Roosa (Solwold) passed on in Oregon. Ms. Roosa was 94 years old and was born in Lake Park, MN. Send flowers to share your condolences and honor Alta "Lorraine"'s life. It was reported by Corvallis Gazette Times on December 8th, 2016 that Alta "Lorraine" Roosa (Solwold) passed away in Albany, Oregon. Ms. Roosa was 94 years old and was born in Lake Park, MN. Send flowers to express your sorrow and honor Alta "Lorraine"'s life. It was revealed on July 26th, 2016 that Marilyn G Sackman (Propp) died in Lake Park, Minnesota. Ms. Sackman was 70 years old. Send flowers to express your sorrow and honor Marilyn G's life. It was noted on March 24th, 2016 that Betty Gee (Johnson) passed on in Lake Park, Minnesota. Ms. Gee was 73 years old. Send flowers to express your sympathy and honor Betty's life. It was reported on May 7th, 2015 that Mark Alan "Lou" Essin passed away in Lake Park, Minnesota. Essin was 53 years old. Send flowers to share your condolences and honor Mark Alan "Lou"'s life. It was reported by The Forum on March 20th, 2015 that MerEdith A Hogenson (Savig) perished in Fargo, North Dakota. Ms. Hogenson was 69 years old and was born in Lake Park, MN. Send flowers to express your sorrow and honor MerEdith A's life. It was reported on March 18th, 2015 that Penny Westlund died in Lake Park, Minnesota. Westlund was 71 years old and was born in Fargo, ND. Send flowers to express your sorrow and honor Penny's life. It was written on February 6th, 2015 that Roger O Wermager passed away in Englewood, Florida. Wermager was 83 years old and was born in Lake Park, MN. Send flowers to express your sorrow and honor Roger O's life. It was revealed on February 3rd, 2015 that Anna Marie Grunwald perished in Lake Park, Minnesota. Grunwald was 103 years old. Send flowers to express your sympathy and honor Anna Marie's life. It was noted on January 18th, 2015 that Joyce A Sellers died in Lake Park, Minnesota. Sellers was 70 years old. Send flowers to express your sympathy and honor Joyce A's life. Lake Park is a city in Becker County, Minnesota County, Minnesota, United States. The population was 782 at the 2000 census. . . .
Wright Funeral Home, Lake Park, MN : Reviews and maps - Yahoo! Local, 218.483.4411. Get Ratings, Reviews, Photos and more on Yahoo! Local. Wright Funeral Home, Lake Park, MN : Reviews and maps - Yahoo! Local, 218.238.5579. Get Ratings, Reviews, Photos and more on Yahoo! Local. We work with local florists and flower shops to offer same day delivery. You will find budget sympathy flowers in Lake Park here. Our funeral flowers are cheap in price but not in value.